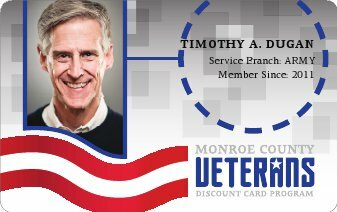 The service officers and staff of Monroe County Veterans Service Agency echo this sentiment and have provided the list of resources below for those in need. The VA Homeless Team provides services to those facing homelessness, to include outreach, case management, and referrals for shelter and housing. The staff is also equipped to facilitate crisis intervention. For more information about available services, call Sarah Levis at (585) 393-8095, or the VA’s homeless call center at 1-877-424-3838. You may also stop by their office at 1867 Mt. Hope Avenue, Rochester, NY 14620. The domiciliary provides medical and/or psychiatric care (including substance abuse treatment) in a therapeutic community. This includes complete medical/psycho-social assessment, rehabilitative assistance, vocational evaluation and conditioning, job placement, and other therapeutic services. The goal of the domiciliary is to prepare the Veteran to return to the community at his/her highest level of independence and as a productive citizen in their community. HUD-VASH is a coordinated effort by HUD, the U.S. Department of Veterans Affairs (VA), and local housing authorities to provide permanent supportive housing for homeless veterans. Under this program, veterans may be able to receive housing vouchers from the Rochester Housing Authority; eligibility is based upon a variety of factors, the most important of which is the need for supportive housing. The program includes two main components: financial help provided by the housing voucher, and comprehensive case management delivered by VA medical staff. Founded locally in 1973 by returning Vietnam veterans, today’s Veterans Outreach Center remains anchored in our community and offers a comprehensive portfolio of supportive services designed to meet the needs of veterans and their families. Through the generosity of our community, all of these programs and services are provided free-of-charge. For more information, call (585) 546-1081. Richards House and Otto House can accommodate up to 28 residents in a safe homelike environment, where they receive vital mental health services and addiction treatment as the first steps toward making positive, long-term lifestyle changes. The Homeless Veterans Reintegration Program (HVRP) is designed to help homeless veterans find meaningful employment and to address the complex problems facing such individuals. Veterans receive the employment and training services they need in order to re-enter the labor force, to include job placement, training, job development, career counseling, resume preparation, etc. Additional supportive services are provided as well, such as clothing, referral to temporary, transitional and permanent housing, referral to medical and substance abuse treatment, transportation assistance, etc. For individuals who have an emergency and cannot afford to solve the problem, the local Department of Social Services (DSS) may be able to help. No place to stay, or are eviction / foreclosure pending. No fuel for heating during the cold weather period. A notice of utility shut off within 72 hours, or utilities have already been shut off. Lacking items necessary to meet the household’s health and safety needs, and there are no resources available to meet the emergency. What kinds of emergency assistance are available? The mission of the Zion House is to provide female veterans with safe and supportive housing. While at Zion house, clients have the opportunity to locate and procure permanent housing, financial security, and educational / vocational opportunities. Female veterans of all faiths and traditions are served, including those who profess none.